Gift an amazing treat that not only tingles your taste buds but also makes your mouth water. 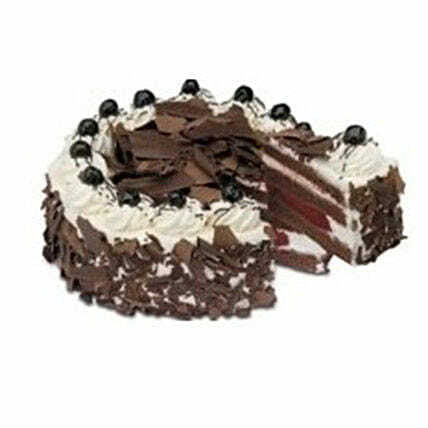 Send this 1 Kg Black Forest cake for all occasions and treat your little ones with all their favorites put together in one cake. This mouth-watering beauty is not only delight to put eyes on but also for the taste buds! A package in its own, this one is a sure party-charmer!